Opera, the maker of Opera Mini browser that was popular on the featured phones and also on the early Android smartphones. Recently the company had unveiled a new data saving app called ‘Opera Max.’ Few smartphone brands had integrated the Opera Max into the UI like Xiaomi and Samsung. 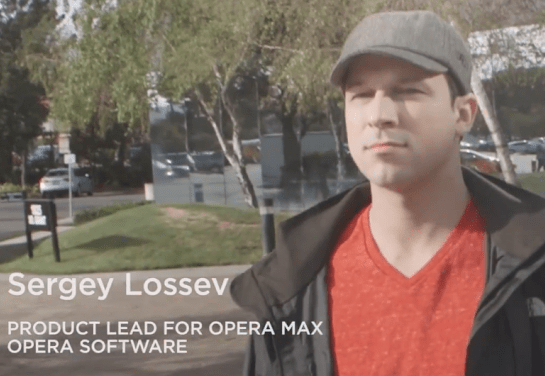 In today’s press release, the company said that 14 OEM’s are now shipping the devices with Opera Max app integrated into the UI. The list includes Micromax, Oppo, Acer, Cherry Mobile, Evercoss, Fly, Hisense, Mobiistar, Prestigio, Symphony, TWZ along with Samsung and Xiaomi. With these collaborations, the company is now expecting to get the Opera Max integrated into 100 Million smartphone by 2017. Samsung had already introduced this feature in all their recently launched smartphones while Xiaomi latest MIUI 7 comes integrated with the feature. Normally, the data saving apps can compress the data used through browsers but the Opera Max app can compress the Youtube video or Netflix streaming. According to the company, by using the Opera Max services, the users can save upto 50% data and for users who heavily use the apps like Youtube, Facebook, Instagram; the data saving will be around 60%. With the growing Smartphone sales in the developing nations like India, Brazil, Indonesia and others; the data saving is the best option for manufacturers to give the users much more value to their devices.